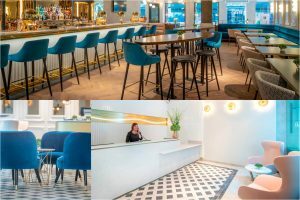 Recently reopened in temple bar Dublin, the four-star Morgan Hotel had received a €15 million investment and redesign. The project involved ceramic, vinyl and herringbone wood finishes. Influenced by the art deco style, the end result is eye catching and sophisticated.